I loved LEGO growing up. I think everyone did. And I think everyone does. And after this movie, I think everyone will. The LEGO Movie looked great from its inception. The first trailers got me excited, but I dismissed it as childhood nostalgia and tried to remain logical about the whole thing. I then I saw it. 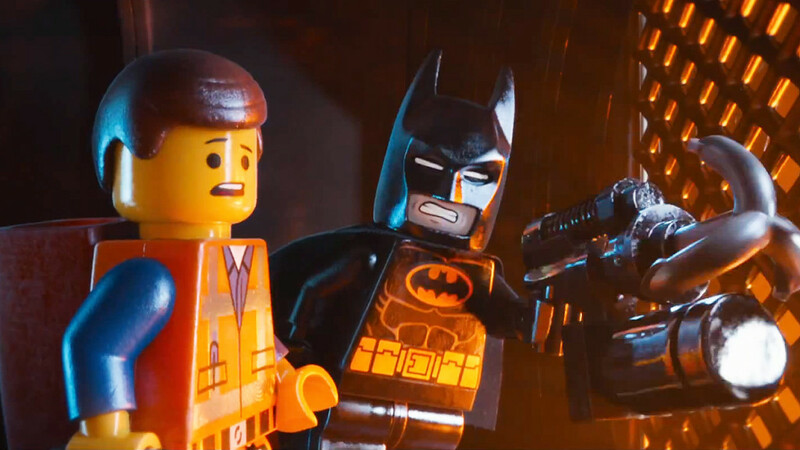 Emmet Brickowski (Chris Pratt) and Batman (Will Arnett) play two sides of what it is to be a hero. Absolute attention to detail like the seam in Emmet’s hair and soft detail in the mold of the Bat Grappling Hook are key to getting us to buy that we are in this toy world. The story is filled with absolute storytelling archetypes (or stereotypes if you want to be cynical). Everything is there. A reluctant hero. His initial dismissal of the journey he is meant to take. His ultimate acceptance. The trials he must go through. The point where everything is lost. A “death” and “resurrection”. You can plot the plot down to the minute. But like all successful films, you get so lost in it that the cookie-cutter template no longer matters. This is not only a testament to the writer/director team of Phil Lord and Christopher Miller, but the incredible comedic skills of the cast of voices, and the brilliant animation of the team down under at Animal Logic in Sydney (more on the tech, later). The themes of the film are many: being special and unique is good, retaining your childlike heart and sense of play – even as an adult – it good, believing in yourself, being creative and working outside of the “instructions”, working as a team, and forgiveness. I don’t even know how they managed to blend all these together. Most films can’t even effectively execute ONE theme. All this is wrapped up in a style that absolutely FEELS like you are playing as a kid. The way events take place is structured, but in a way that 8-year-olds make things up as they go. It’s this perfect blend of rational absurdity. But this completely fits into the idea of what LEGO is. The toy bricks, by their own design, are meant to be deconstructed and rearranged into an infinite amount of variations, restricted only to the user’s (The Master Builder’s) imagination and creativity. When you need a spaceship — then yes, within that LEGO medieval castle are the parts to build a spaceship. SPACESHIP!! My point is, those times in your childhood when you are playing with your action figures, or Barbie, or whatever, and you are making your own stories, and giving the characters their own voices: THIS is what the film captures. And, I feel, THIS is why it has touched so many people on so many levels. Good Cop/Bad Cop (Liam Neeson) as Lord Business’ (Will Ferrell) minion. Again, the Depth of Field in the shot cues our senses that this is a tiny world. The filmmakers and animators at Animal Logic have taken so much care to create this tiny world of LEGOs that people on the forums and REDDIT and such have been making comments like “See what happens when you use practical stuff and stop-motion? It’s SO much better than CG!! !” Well, too bad guys. But, I can respect how easy a life of ignorance is. Focus was put on restricting the CG to work within the scope AS IF they were shooting practically. Camera moves were plotted like they were shooting a miniature. Animation was restricted to movements that only a LEGO person can do. Construction and design were limited to bricks and color palettes that are physically available. Careful attention was paid to wear and tear, micro-abrasions, seams in the plastic molds, peeling decals. Nearly every shot has deep depth of field, and all the blocks have subsurface scattering. And, like in a stop-motion film, motion blur was neglected. Even the FX work fell under the same restrictions, having to build explosions and water with available block sets — calculated and procedurally created through Houdini. It is really a tour de force of animation work to try and make it look like it was shot practically — but honestly, it could not have been shot practically. At least, not within a practical time or a practical budget. Speaking of which, LEGO came in at $60M — pretty low for an animated feature nowadays — and it made back that budget in the first weekend. (Caveat: that number is without a doubt because of Australian film tax incentives…but still, it was produced efficiently). For an in-depth interview, catch the FXGuide coverage with the Animal Logic supervisors. 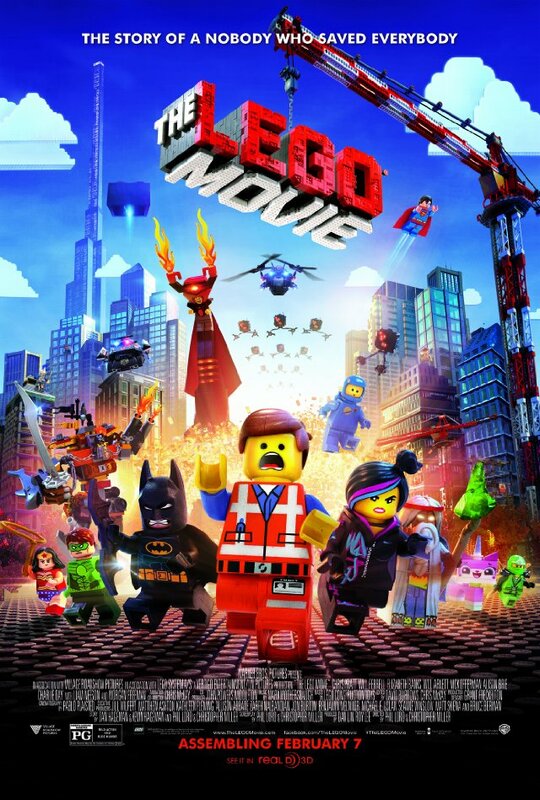 I know its early in the year, but The LEGO Movie, is, BY FAR, my favorite film of 2014, and could quite possible surpass my love for Frozen, Tangled, and Up. It has revitalized the creative child within me, and it makes me smile every time I think of it.